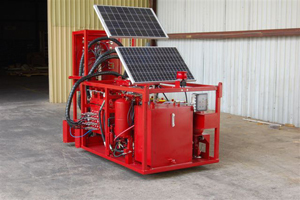 Save energy costs and reduce the carbon footprint of your drilling operations with our solar-powered control unit. The CPC-SCU provides all the flexibility and performance of our traditional units, but is powered by two 24 VDC solar panels with the capacity to load the accumulator up to five times without sagging. 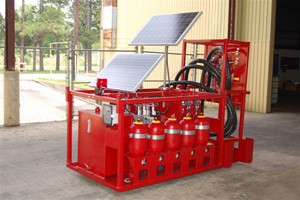 The CPC-SCU is also available with optional Air or Nitrogen backup.